Now that autumn is upon us, our thoughts have turned to our Apple Day and the glorious variety of apples available to us all, including those in the Jubilee orchard at Cressing. It contains a number of old varieties from Essex and Suffolk, including ‘Queen’ (Billericay, 1858), ‘Monarch’ (Boreham, 1888), ‘Chelmsford Wonder’ – I shall leave you to decide where that originated! – (1870), ‘D’Arcy Spice’ found at Tollshunt D’Arcy Hall in about 1785 and ‘Dr Harvey’ (1629), named after Dr Gabriel Harvey, Master of Trinity Hall, Cambridge. The full list can be found in ‘the Gardens’ section of the website and they can be sampled and purchased during the Apple Day. The apple originated in central Asia, but careful selection and breeding over centuries has meant the development of over 7000 varieties still known today. During medieval and Tudor times, apples were widely available. 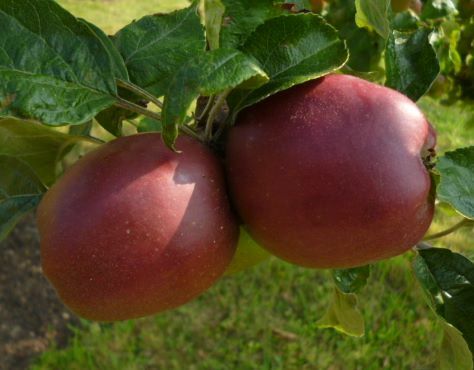 The costard apple – the source of the word ‘costermonger’ – was the most common culinary variety; we grow a costard tree in the walled garden. Apples were mostly cooked in pies or made into sauces; drying them meant that they kept through the winter.